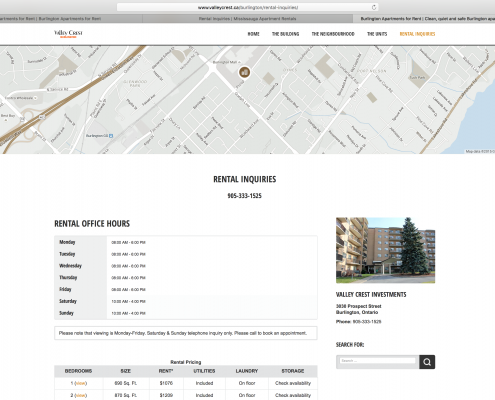 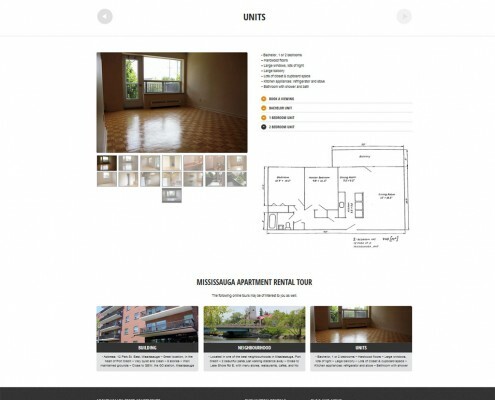 Website that presents in detail rental information through images, video, text, and floor plans. 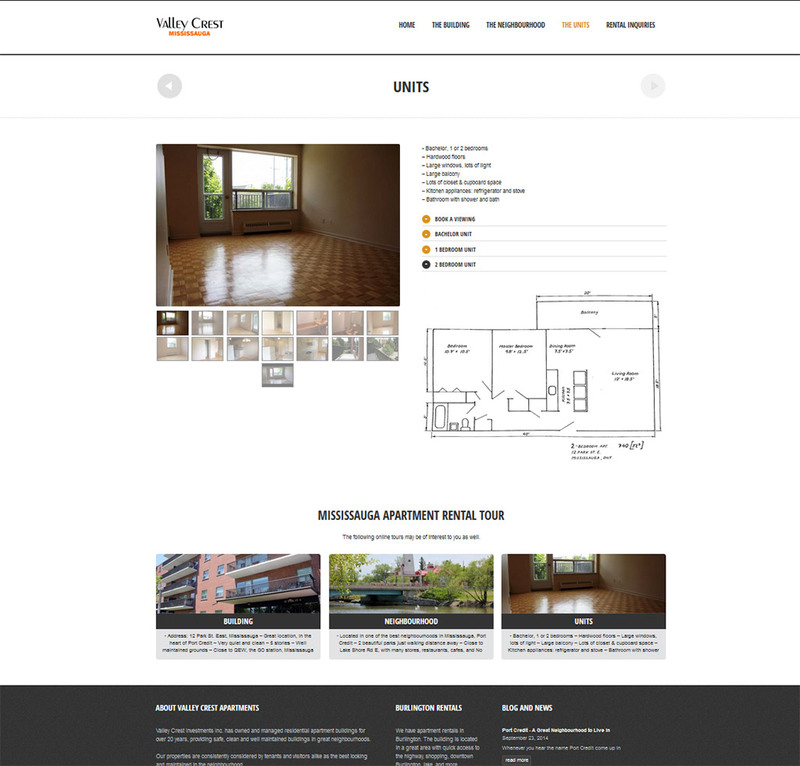 Plus SEO & Social Media campaigns to increase awareness. 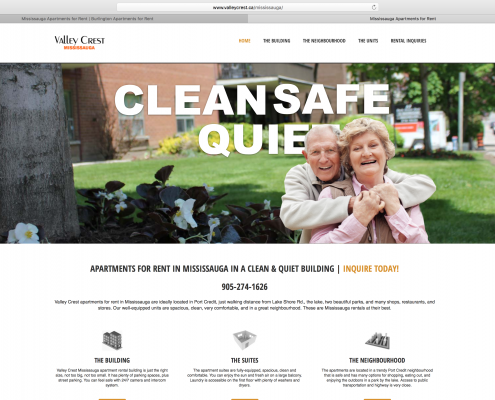 Valley Crest Apartments have carved out a unique position for themselves to thrive in the condo boom that is taking place in Toronto. 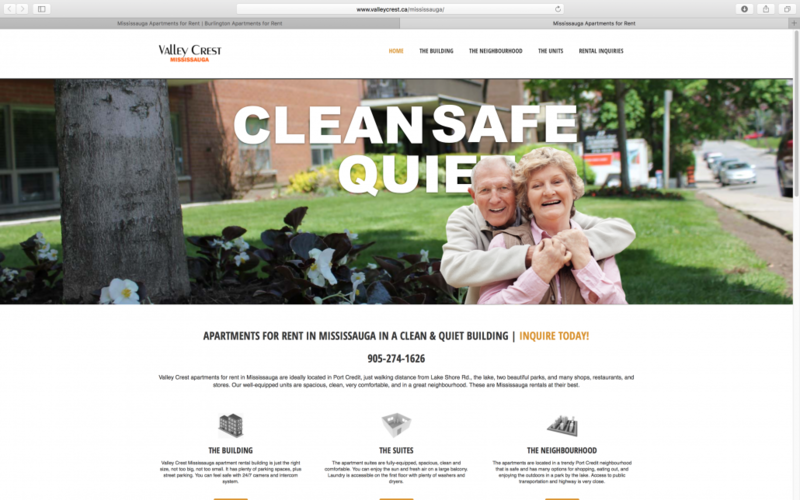 Through meticulous high quality maintenance and constant upgrades of their properties and units, as well as excellent locations of the properties, Valley Crest is making renting a very attractive option. 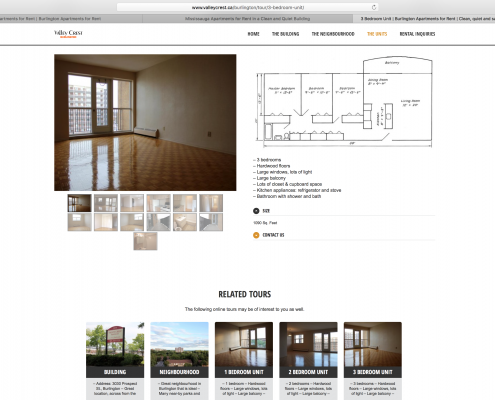 We built a quality website that reflects the properties and their offerings. 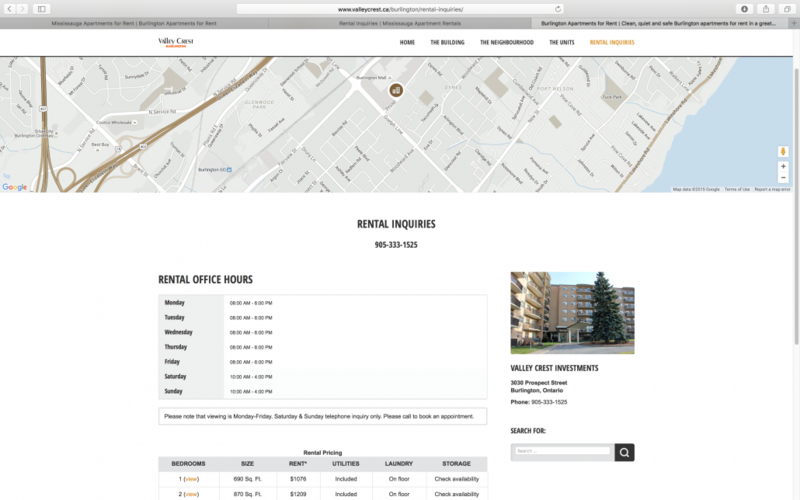 The website, built on the WordPress platform, uses simple navigation structure, clear text copy, and professional photography to make the apartment buildings and units stand out. 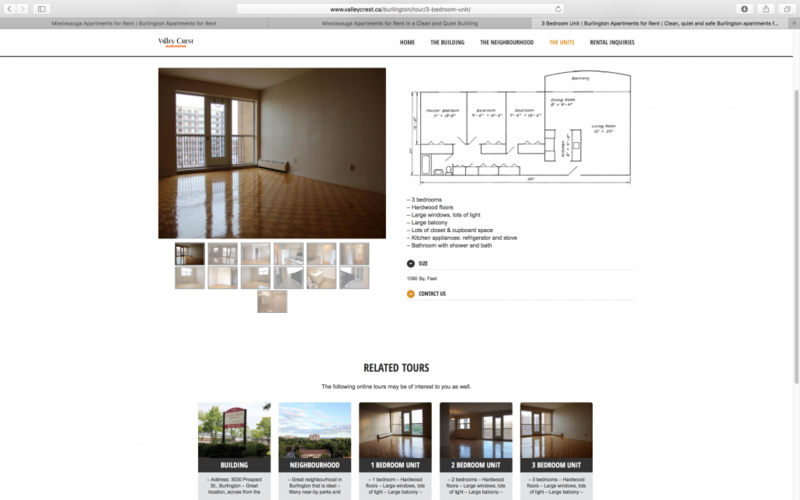 Results: The website is generating higher visitor inquiries, and very low bounce rate.